It's A Matter Of Pride! Get in Gear with Guaranteed Auto Service! Guaranteed Auto Service is a family-owned and operated auto repair shop, providing quality car care in Newport News, VA since 1981. Over the course of 35+ years in business, our shop has consistently delivered honest and professional automotive repair and maintenance services, and our mechanics have earned a stellar reputation in the community. 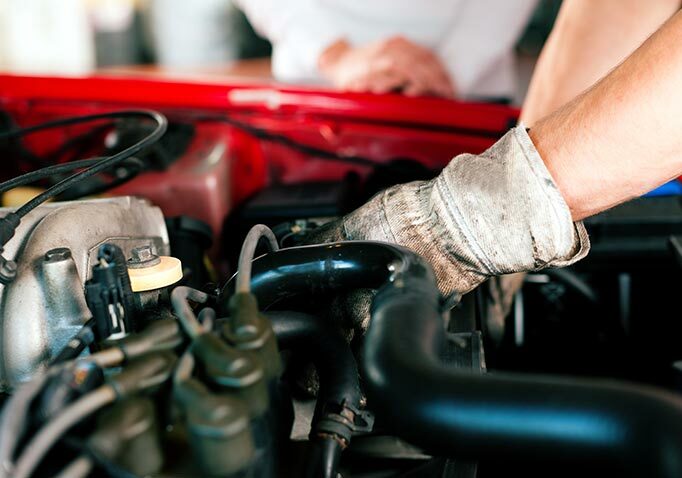 If you’re looking for an auto repair shop you can trust, look no further than Guaranteed Auto Service—we take pride in our work, and you’ll see that when you come to our shop. It is our mission at Guaranteed Auto Service to provide a high-quality auto repair service for our customers at a reasonable price. We provide a safe and enjoyable place to work for our employees, respect and care for our environment, and value everyone can feel good about. A Quality Oil Change Doesn’t Have to Cost More! Our ASE-certified mechanics are trained and equipped to service both import and domestic vehicles, from your daily driver to your luxury sportscar to your diesel pickup. When it comes to auto repairs and maintenance, we emphasize affordability for the quality of service you receive. At Guaranteed Auto Service, that means modern diagnostic technology, eco-friendly products and practices, and a nationwide warranty on most repairs. You can expect the best value and quality at our shop—we guarantee it! Call us for all your car care needs! We Offer Speedometer Calibration Service! If you have received a speeding ticket or need to have your car’s speedometer calibration checked, come to Guaranteed Auto Service for certified speedometer calibration. In the Auto Repair Business, Hard Work Pays Off! Our shop has been honored with the Blue Seal of Excellence Award from the National Institute of Automotive Service Excellence (ASE). 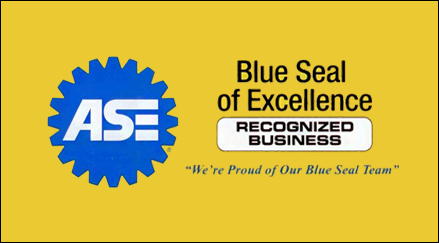 The Blue Seal recognizes auto repair shops with over 75% of employees ASE-certified and that have someone certified in each service area. We are the only Blue Seal auto repair shop in Newport News and Hampton. Guaranteed Auto Service has received the Daily Press Choice Award for Best Auto Repair & Service every year since 2009 based on reader and customer votes. We want to thank you—our customers, friends, and neighbors—for voting us the top auto repair shop in Newport News. Your support and appreciation mean everything to us! Guaranteed Auto Service is committed to providing our customers with high-quality automotive services at a fair price, performed by certified and trained mechanics. We use quality parts and provide a solid warranty on all our services. We take great pride in our reputation and maintain a strong commitment to the principles of honesty, excellent quality, and value. Our goal is to give the public a positive view of the automotive industry by not only providing the best service we can, but by educating people as well. Think Car Care is a Hassle? Not with Guaranteed Auto Service! To perform high-quality diagnostic and auto repair service at a fair price using quality NAPA parts. To exercise reasonable care for our customers’ property while in our possession. 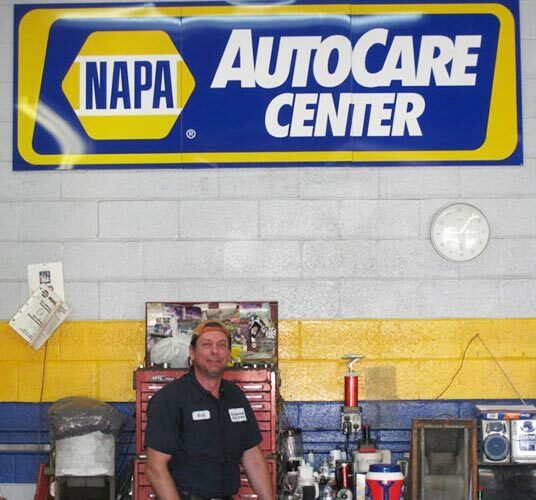 To uphold the integrity of all members of the NAPA Auto Care Program. 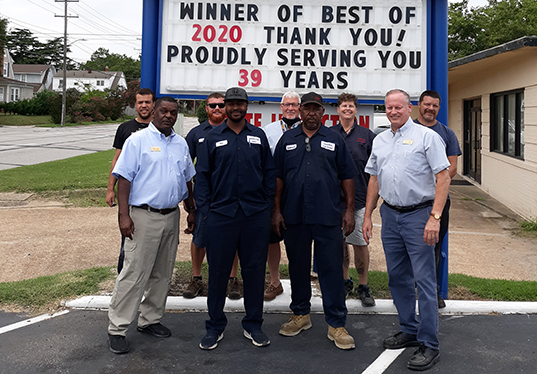 Guaranteed Auto Service is located at 5800 Warwick Boulevard in Newport News, VA, near CNU University, Newport News Shipyard, NASA, and Jefferson Lab. In addition to Newport News, we serve the communities of Northrup Grumman Shipyard, Hampton, Chesapeake, Virginia Beach, Surry, Smithfield, Yorktown, Portsmouth, Matthews, Gloucester, Williamsburg, Poquoson, Isle of Wight, Windsor, Fort Eustis, Langley A.F.B., Jamestown, Norfolk, Suffolk, and Tabb in Virginia. If you’re in the Newport News area, don’t hesitate to give Guaranteed Auto Service a call the next time you need auto repairs or maintenance. We look forward to serving you! Guaranteed Auto Service — Voted Newport News’ Best Auto Repair Shop Ten Years Running. Serving Newport News, VA and surrounding areas, including Chesapeake, Fort Eustis, Gloucester, Hampton, Isle of Wight, Jamestown, Langley A.F.B., Matthews, Newport News, Norfolk, Northrup Grumman Shipyard, Poquoson, Portsmouth, Smithfield, Suffolk, Surry, Tabb, Virginia Beach, Williamsburg, Windsor, and Yorktown.